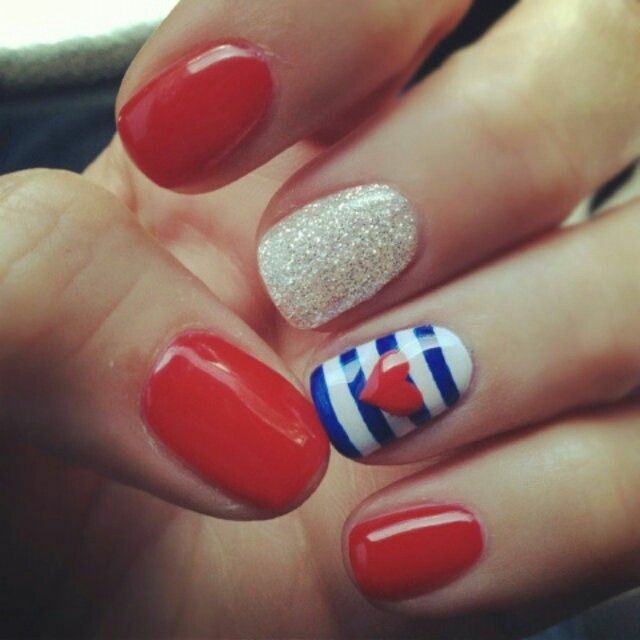 Were you rocking some fun nails (or toes) this week?? Something Fourth of July(ish) or are you saving that for this week?? Either way, link it on up, we can't wait to see! I work on the 4th so I definitely have to paint my nails, it's one of the only ways I can have some fun in my all black uniform. I'm obsessed! 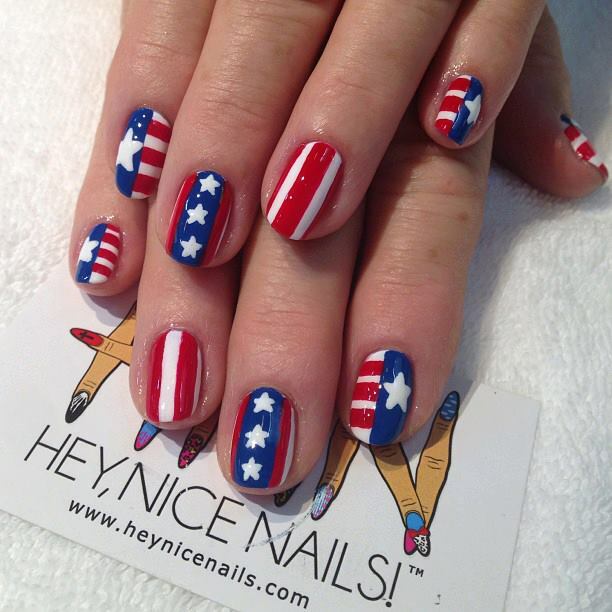 I love july 4 anything, especially nails! I painted mine but not as awesome as yours lol! They're all really cute. 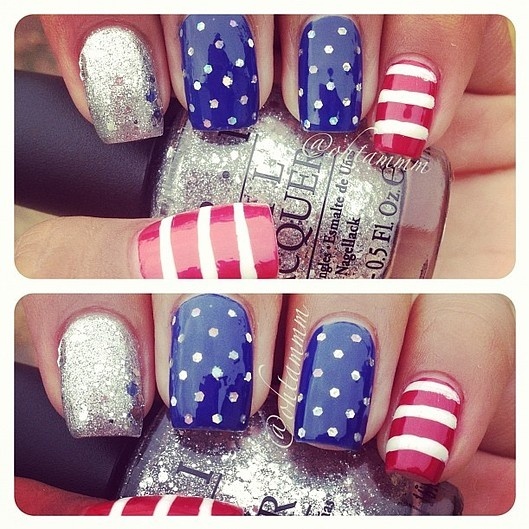 I'm trying to decide how I am going to paint my nails for the 4th.